I started knitting another scarf last week. The stitch pattern comes from the Big Book of Knitting Stitch Patterns. 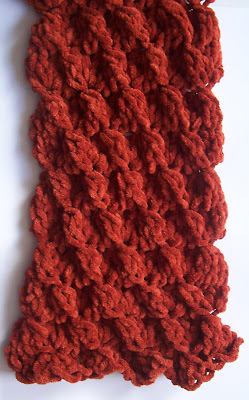 Some of the stitch's design is lost with this yarn, but it produces a wonderful texture and scalloped sides. 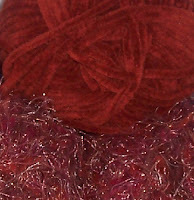 Lion suede yarn is soft and will make a cozy scarf.